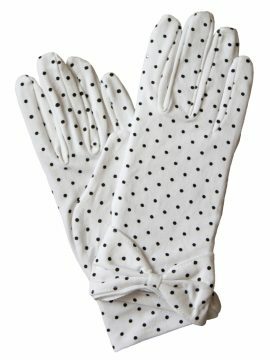 Elegant vintage-style women’s black dress gloves by Pia Rossini in fine quality, soft stretch satin with an attractive diamante band on the outer cuff. Perfect for smart occasion wear, for vintage or more contemporary outfits, or just for fancy dress or for fun. Gloves reach approximately 4in/10cm along the forearm from the wrist. ‘One Size Fits Most’. Please see our Production Information below for full details and important sizing information. ‘One Size Fits Most’. Elegant black satin dress gloves with an attractive diamante band on the outer cuff. Perfect for smart occasion wear, for vintage or more contemporary outfits, or just for fun. By Pia Rossini. 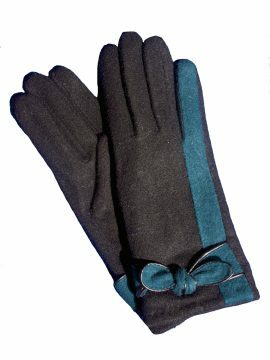 Very stylish ladies suede leather gloves by Pia Rossini for smart-casual outdoor wear. 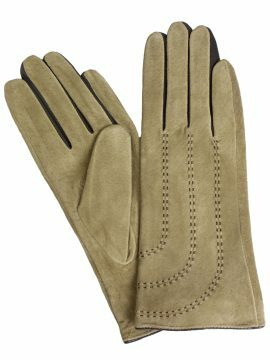 The gloves are made in a lovely soft camel suede and have black leather panels between the fingers and stitching detail on the back of the glove. Soft knitted acrylic lining. Please see our Product Description for full details and important sizing information. 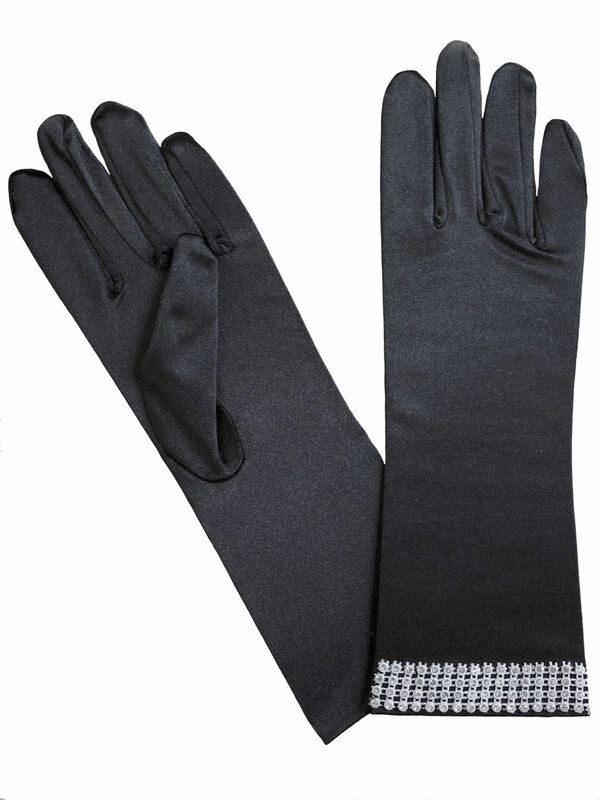 Lovely womens black angora and wool gloves featuring a coloured stripe and bow detail, with fine black piping trim. They have a fine fur-feel fleece lining for added comfort. 'One Size Fits Most'. Fine quality from Pia Rossini. Available in 4 different colours - black/orchid, black/pine, black sapphire and black/charcoal. Please see our Product Information below for full details and important sizing information. 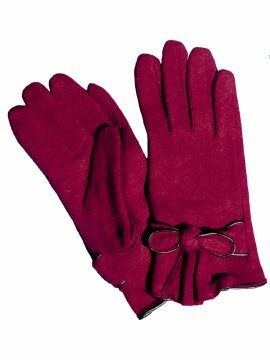 Lovely smart-casual womens gloves from Pia Rossini in soft crimson red fabric made from wool and angora, featuring a ruffle and bow detail on the back of the wrist, trimmed with fine black piping. They are lined with a fine fur-feel fleece lining ) for added comfort. 'One Size Fits Most'. Please see our Product Description below for full details and important sizing information.